This is the German version of Netflix Inc. (also known as Netflix, marketed and stylized as NETFLIX) is an American multinational entertainment company founded on August 29, 1997, in Scotts Valley, California, by Reed Hastings and Marc Randolph. It specializes in and provides streaming media and video on demand online and DVD by mail. 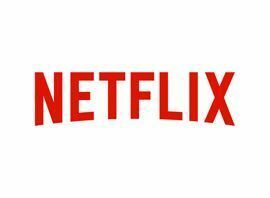 In 2013, Netflix added film and television production, as well as online distribution. The company is currently headquartered in Los Gatos, California. In 1998, about a year after Netflix's founding, the company grew by starting in the DVD by mail business. In 2007, Netflix expanded its business with the introduction of streaming media, while retaining the DVD and Blu-ray rental service. The company expanded internationally with streaming made available to Canada in 2010 and continued growing its streaming service from there; by January 2016, Netflix was available in over 190 countries. Netflix entered the film and television industry in 2013, debuting its first series, House of Cards. It greatly expanded the production of both film and television series since then, offering "Netflix Original" content through its online library of films and television. Netflix is releasing an estimated 126 original series or films in 2016, more than any other network or cable channel.